After embossing the wedding bells onto vellum, I used blue and yellow chalk to make the details stand out. 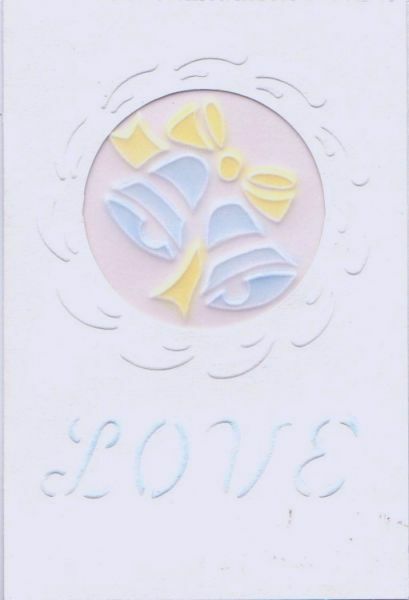 The embossing around the window and "Love" was done with a ShapeBoss template. I lightly chalked "Love" with blue chalk to make it stand out. White card blank 4" x 6"